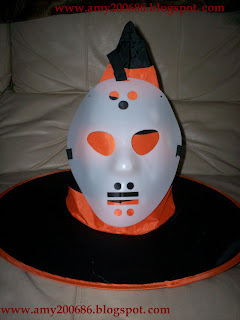 Who is ready for Halloween? 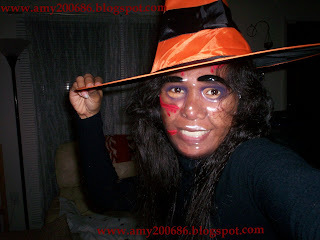 Are you planning to wear a scary costume this year? You really don't need to buy an expensive costume. A mask and a black suit is a good outfit for Halloween. You can buy this in a dollar store too. 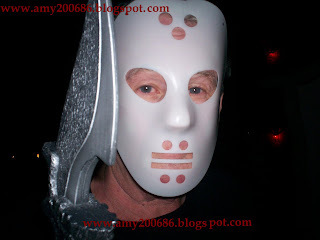 Another mask is Jason which is not scary. 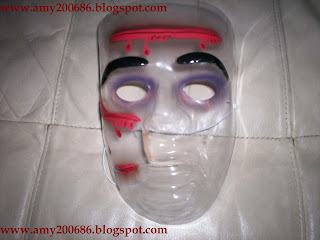 Wearing a mask is inexpensive and the preparation is a no brainer. I remember this particular Halloween. My husband was hired to wed an older couple who wants to get married on Halloween night. He wore a black suit and this prop. All guests wore costumes and the backyard was full of zoombies. The wedding was interesting and after all these years, they are still together. This year, I will not wear a scary costume. I have two choices and both are fancy ones. Check it out soon. Thanks for stopping by. Wine can be good to your body if you drink moderately. Few weeks ago, my husband and I went to a wine tasting festival. It was my fourth time and I enjoyed the whole day activity. Wine tasting is the sensory evaluation and examination of wine, and even though I am not a “drinker”, I can appreciate a good taste. Experienced tasters can distinguish the characteristic of a specific flavor in the wine. In my case, I rely on my palate and I think I like white wine better. Now, look closely on the infographic below and let us educate ourselves regarding wines and health. This is the house of my brother-in-law in Missouri. I am looking forward to see it and walk inside it because the kids told me it is haunted. It has 7 bedrooms with a huge basement. We will be staying in the hotel though LOL. I am scared with ghosts. 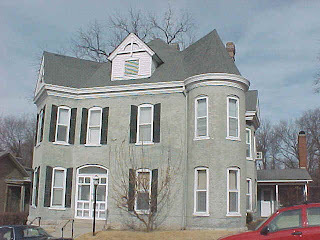 This house was built in 1858 and known as a historic site, recognized by state and local level because this house was owned by prominent figures in the country. My husband told me today that there is no way he will be staying for the night here. The family only occupied 3 rooms so; they have plenty rooms for the guests. Who knows I can pursuade him and we will be ghost hunting for the night, yeah? LOL. If you own a property with a backyard whether it is just a descent size or humongous space; setting a cozy atmosphere would be your thing. You probably became a home store shopper for the last few weeks trying to pick up outdoor design elements such as planters, flower and fruit bearing plants, candle holders and more. Having a gazebo in the backyard is an added charm. Or maybe, you are the type of homeowner who likes to splurge a project in the backyard aiming to get a functional oasis. Whatever it is, just go for it. Did you make a deck or added a patio for barbecue party? That project must be an envy subject by your friends huh? I bet, window shopping became your passion lately and let me guess, have you been eyeing on the gorgeous solar lanterns in the garden center? I can totally relate to that! If those lanterns are sold out from the home store, don't worry. 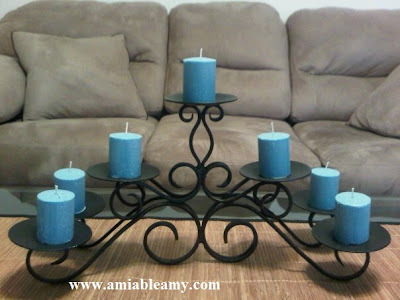 You can purchase quality design products at batteryoperatedcandles.net. This company has so many unique lanterns to choose from. Shopping is easy when you do it online right? Take your pick from battery operated led lights or battery operated candles. When you light a candle as you enjoy the beauty of the outdoor is like setting a romantic ambiance of the space. The flickering flame ignites a peaceful space but, it could ignite a real disaster when neglected as well. My preferences for outdoor lighting fixtures are battery operated led lights or solar lanterns. The latter is energy efficient in fact; we have few of those in the yard. It shines so bright after sunset. When you use the traditional candles, the flame is a hazard especially when neglected and it might start a fire if you live nearby the woods. To avoid accidents, battery operated candle is a safe alternative outdoor decor to use. If you like to add more splurging in the hard, check out the Pre-Lit LED trees. They are so gorgeous and Willow Tree is my favorite. It is a bit pricey but, it will really make the yard pretty and inviting. Let me tell you about an alarming statistics that most people just take for granted. Did you know that households earning the amount of $100K + per year have the highest identity fraud rate at 7.4%? According to a study, the average cost per person of having identities stolen is $1,513 and that's quite a scary scenario right? There are 11.6 million adults are reported victims of identity fraud in 2011 with a total loss of $18 Billion. Now, if you are a victim, you will be in a hot mess. The sure way to protect you from identity theft is find a reputable company that offers proactive and credit fraud protection, advanced internet monitoring, credit and non-credit alerts, address monitoring, lost wallet protection as well as credit bureau report. All these protections are being offered by LifeLock, the leader in identity protection. Check out LifeLock on Twitter and be informed or better yet; visit their Website today. It is very easy to navigate; plans and pricing is clear; and LifeLock also laid out the 5 specific protections that they are committed to provide to their clients. In the event of identity theft, the site specified the 1 million service guarantee for recovery. How hack-friendly is your password? If you are not careful, you will hit a phishing link and your personal information stored in your accounts will be stolen. With LifeLock, your identity will be monitored and you will be alerted right on. It is definitely a hassle-free because they are the ones who watch over your back. I saw a documentary about identity theft and it was really scary. Her credit score went downhill; her paycheck had deductions; her property was put on lien and the most scary part was when she was put to jail for drug trafficking. Her identity was stolen and when the theft finally gets caught, damage has been done with her life. We are all vulnerable with identity theft so; having LifeLock will be a good protection against identity theft. How about you? Are you protected with identity theft? What protection and measures do you have? For a single mother of two, it is truly hard to send the children to a prestigious University in the city. Yet, she was confident that her two kids will be enrolled in the institution for the coming school year. That was more than two decades ago. My mother’s dream is to provide the best school for us even though she knew that she can’t afford it. What drives her to stay positive? The good grades that my brother and I have are the only passport for our success. On the second semester of my freshman years, I became a recipient of a scholarship sponsored by a philanthropist. He aims to provide financial aid for students like me who are persistent to further higher education. Scholarships are awarded to the student for different reasons. There is no obligation to pay. It could be artistic or athletic excellence but, the most common is the student's academic potential. I have good grades just enough to get the scholarship. To maintain this type of scholarships, a student must maintain the required grades. Failure to maintain the grades would mean that the scholarship is over for you. In my case, I was able to graduate in a University because of the scholarship granted to me. I did not make it on the last semester of my senior years but, I was also a working student in the library. Juggling my scholarship and work spells hard work and perseverance and the equation is success. The road is not easy but, I made it. If you think you qualify for a scholarship, check out what is available for you. Study hard and maintain the required grades. Good luck! Our life here on earth is temporary. Whether we like it or not, one of our love ones will eventually leave this life and will be away for good. It is easy to accept when our love one dies because of old age. We know that time is coming and it will be for the better so; the person can rest and will not suffer more. We also learn how to deal and react when one of our love ones diagnosed with a terminal illness. The only easy way is to accept and sought for treatments. Hoping that maybe, a miracle will be showered on our love one and get cured. Deaths in accidental causes are hard to accept but, we will learn to eventually accept the fact that life ends that way for others. We mourn them and we go on with our daily lives. It is hard to accept but, we know what cause it so; we will learn to understand. But, what if our love one dies because of negligence of others? How would you react when our most beloved parents or children died because a doctor gave a wrong medication? What would you do? If you live in Houston, there is a Houston Business Lawyer as well as Wrongful Death Attorney Houston so; you need to hire their expertise in this type of case. We will definitely get angry when our love one dies in an untimely death caused by someone we trusted like the people in medical world. When a person dies because of the negligence of the company he worked with; it will be devastating as well. We need justice! We need them to admit their fault so; we can have closure. It is the right thing to do to seek for justice. They should be persecuted and should be banned from their profession so; they will not harm another person in the future. Lately, I noticed that many of the good people that I knew (online) were being harassed by TROLLS. Wikipedia describes TROLL as Internet slang : "someone who posts inflammatory, extraneous, or off-topic messages in an online community, such as a forum, chat room, or blog, with the primary intent of provoking readers into an emotional response or of otherwise disrupting normal on-topic discussion." 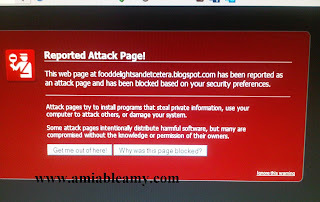 Have you got trolls in your blog? I have few of them but, I just ignore them because they are not worthy of my time. They eventually disappear maybe; got tired for no attention given. Here in the US, credit history is very important. When a person buys a car, the credit history will be check. If it is excellent, the loan rate is favorable. It is all true with renting an apartment, application for home security, water and electric bills, and more. When you apply for loans in the bank, you will be decline once you have a low rating. They rely on your credit history for it shows your credit worthiness. Your willingness to pay a debt is indicated as to how timely you made payments from the past lenders. If you are delinquent in your credit card payments then, your rating from the three credit bureau will be low. If that happens, you cannot apply for loans or apply a new credit card. With home bills, you will be required to have a deposit. If you apply for home security, the company will give you a much higher rate than the regular rate they initially offer. With all these reasons, you need to pay your debts, home bills and credit cards on time so; you will get a high rating in your credit history. But, what will happen to you if you did screwed up your credit history? It means you will get a credit card but, with higher interest rate. You can still rent an apartment but, the landlord will ask for big deposit. Are there companies that will offer you a loan? Yes is the answer in fact; Title Loans in El Paso is ready to give loans to anyone. If you have no credit or have a bad credit, you can still get loans from them. You can even own a car; just pawn the title and drive your car home. Are you interested? Check out the link today for more information. I love shopping at Kohls.com because they care. They support women's health and they help to fund research, raise awareness and educate women about the importance of regular exams and prevention to fight breast cancer. For that matter, I shop in the store because they share their blessings for a good cause. About two weeks ago, Kohl's sent me a $20 Kohl's Cash and I used it to buy this footwear. The original price was $74.99 but, I bought this shoes at a sale price and used two coupons. After all the coupons, I paid more or less $21 for this Adidas shoes. This is an athletic shoes made in superior grip. The mid sole provides cushioning, in a lace-up closure with mesh lining, and padded foot bed. Do you like it? Check it out at Kohls.com. Designing a living space need not to be perfect. What is pleasing to individual's eye is more important. I have been watching TV shows about home designing, flipping houses and splurging some rooms in the house and they vary a lot. Most of them created an awesome transformation and few, though it looks beautiful seemed missing a personality. Each one of us has our preference of the design elements and it is up to hands of the designer to incorporate all elements to balance and make it a stand out. Check out the curio, settee and rug accent pieces below. 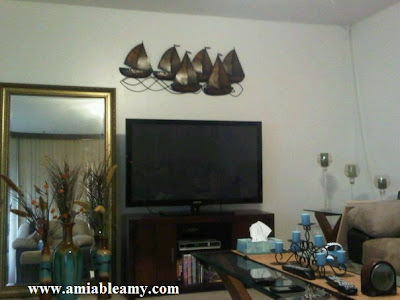 These types of furniture's and accessories are the elements that I wanted in my home. 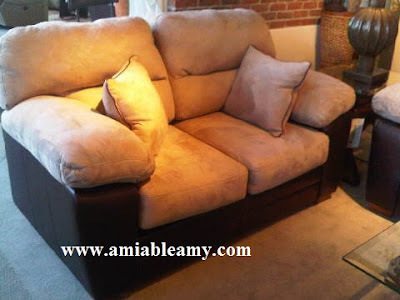 The sette is leather made with ultra-comfortable cushion. The color and design suits my personality. The curio's decorative moldings and gold accents will give depth into the room. I like the red window treatment because it compliments to the rug that I chose. Of course, lighting fixtures in the room is important to make the room comfortable and vibrant with colors, shape and textures. About 4 miles away is Haverty's home store that we checked regularly for furniture and accessories display. Havertys: Discover Something You offers wide range of interesting suggestions. They just started the Inspiration Sessions last Sept 15 which is Now Showing the Entertainment Space Designs. If you do not have a separate family room in the house which you can devote to a home theater, make your living room transformable. Haverty's suggested that lined curtains are the first key. To avoid glare, use panels which you can slide closed. Seating is also key element in this space. For TV viewing that's comfortable for the whole family with plenty of room to spread out, check out BENTLEY sectional for an opulent look of leisure. 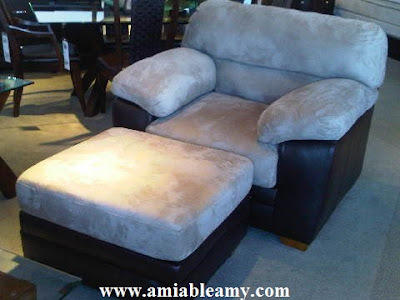 You can choose the configuration to suit your space with options like a push back chaise and power recliner for complete relaxation. Choose the color that suits your space from latte or walnut leather/vinyl match. Check out their Website for more Inspiration Sessions on Oct 13, the Seasonal Escapes which is all about designing for seasons; Nov.10 for Winter Colors which is about designing to incorporate winter colors and Dec.1, the Finishing Touches is about making that room complete. Influenced by DIY TV show, I started my DIY patio project. My main goal is to do my project using affordable materials and splurge a flagstone, must use garden fabric, level it and do it right. This project is very tiring yet, after corner, I was satisfied with my work. Adding the garden fabric, leveling, laying the pavers and flagstones are easy. What I do not like was pulling the grass and it needs so much effort. I started with the 4 corners using these patio stones. 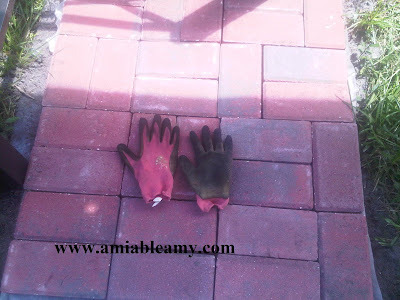 That's my garden gloves showing the hard work that I did today. Christmas holiday is fast approaching in fact; I join the others for the countdown. Today marks "100 days" more before Christmas. I should be ready for my list and since I vow from last year, last minute shopping will be an experience from the past. I have plans to only buy presents when there are deals being offered. I already look for store promotion, layaway deals, unbeatable sale, discounted items and of course coupons. Every day, I checked the deals inserted in the newspaper and I also take advantage of the online coupon codes. A week ago, there was an online big sale at Sears and Kmart. I have been a subscriber for their weekly deals so; I got coupons and discounts from them. As much as possible, I love shopping when I can use at least 3 coupons so; I always look for more coupons online for free-shipping and 30% discounts. I do not settle for 5% or 10% that is why, I am very diligent to find an awesome coupon codes that really works. This time, I will shop early for holiday presents. I know I can save more if I use coupons in print ads as well as coupons provided by online. I just cannot understand why some people do not use coupons when they shop. It is like cold cash for spending, just print it and use it for great savings. That's not hard to do right? I found an awesome Website just now and I already save it on my favorites. Couponshack.com is easy to navigate and the coupon code is provided clearly with the expiration date. It has variety of coupons from hot deals to grocery coupons and more. I am impressed because when I tried to navigate the site, there is no pop-up which is really great! Visit the Website and I am sure, you will notice the same way as I did. How many product recalls do you know every week? I am not really paying much attention to product recall which is a bad habit and I am guilty to that. As a homeowner or by being a responsible parent, we should be aware of the things that are not safe to use. One minor mistake of not paying attention could result to injuries or worst. The last product recall that I saw on the news was about a coffee maker being recalled after so many reports of burn injuries. Thank goodness that we do not have the said coffee maker. PAT Testing is important for safety reasons. Every electrical appliance must fully comply with the safety standard to avoid accidents and injuries. We all know that accidents could be fatal so; we should be extra careful and use only the products that were fully tested and pass the safety standard. Some electrical appliances quit working so; if you have no skills to fix it, hire a reputable company who knows the product well. There is danger when you troubleshoot appliances that have electrical components in it. You might think you fix it if it started working. There are incidents of short circuit and it could damage not only the appliances but, your entire property. I am sure you do not want that. If it is electrical and you have no knowledge about it, do not dare to fix it! It is fire hazard so; hire an expert right away. If you think it is a hassle to fix then, you can buy a new appliance and haul away the old one. It saves you the time and it might be a great savings in the long run considering you are safe. When you get rid of the unused appliance, you can sleep so soundly at night for there is no fire hazard in the house. Would you agree? My husband and I went to see a movie the other day about man's enduring quest to land the moon. The movie narrated that the success of moon landing was dedicated to the three brave astronauts who were killed in a cabin fire during a launch pad test. In any workplace, there is always a hazard. Incident of serious injuries are high especially in plant and machinery industries. There is always a first time for everything and to lessen such injuries and fatal accidents, protective gear is a must. I remember when I was working; we are required to buy specific shoes to avoid injuries in the workplace. Occupational Safety and Health Administration or OSHA is very strict with any employers. Employers need to adhere the safety standard for their workers so; strict compliance is followed. Some areas in our workplace are slippery when wet so; our company required us to purchase the high quality shoes for our safety and protection. FR workwear is high quality flame resistant work wear. This Apparel Warehouse provides the highest quality of cloth line ideal to wear by commercial, maintenance, electrical and industrial workers who regard safety first and at the same time, aims to look professional in the workplace. These work shirts look great and they are affordable. You can check out their apparel collection and you will be surprise to see a two-tone western style work shirt at affordable price. This company provides NFPA 70E compliant flame resistant apparels and their coveralls in FR clothing for gas industry are made to protect the workers from fire hazard. You should have this work wear for superior protection if your job is in electrical, maintenance utilities, oil, gas, and automotive industries. Protect yourself with coveralls and head gear because your workplace is at high risk for injuries and it could be fatal. 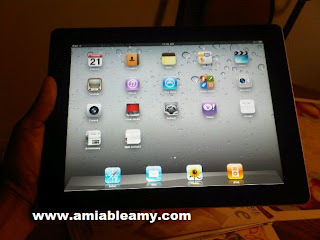 When I woke up today, I saw my iPad2 hangs with the Apple logo at the middle on the screen. I had it at the bedside table watching TV using the apps. It will turn off automatically when there is no response from me anyway. I was worried because I am not an IT savvy. I tried pressing the POWER for few seconds to reboot but, it won't move. I went online and look for answers and boy, I was so relieved! If your iPad2 hangs and cannot reboot for many attempts, do this: "You can always reboot, by holding the power button for 5 seconds and then slide to power off. If that doesn't help, pressing the Power and Home button simultaneously for 7 will force the iPad to boot fresh. Just keep the buttons pressed, till you see the screen go blank." This suggestion was provided by the user account "DontUnderstandMyIpad" from the site ipadforums.net and I was so thankful for it works. 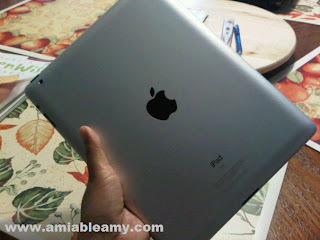 I thought it is time for me to buy the new iPad LOL. Well, I love my iPad2 and been using this for more than a year now. It is so convenient to use and so handy. Have a good day everyone. When we bought our home exactly 5 months ago, there is no AC unit. We decided to purchase this property because we love the house and the neighborhood. We hired a professional AC guy to install everything in it including the duck work. Basically, we move in to our new place with new AC unit and we are confident that for many years, we will have no problem about it. Do you have problems with your AC? Nowadays, it is hard to find a company that will do the right job. But, if you live in North Carolina, you can rely on the expertise and professionalism of MTB Mechanical. This reputable company is in HVAC business since 1975. This is a family owned and operated business; and they build this company to provide excellent service in heating and cooling systems in greater Charlotte area. You are lucky that this company provide services in your area. Problems with AC are a hassle especially if it breaks down on a weekend and night time. Some companies don't care and you have to wait for them to come on weekdays. But, with MTB Mechanical company, you can contact them and have it fix at no additional charge so; call them at 704-321-9250. They provide military and senior citizen discounts for 10% which is really good. If you purchase a new air conditioning system, you will get a free UV Light. Visit their Website now and check out their special offers. At present, our economy is not stable and it is a fact that we are still in crisis. Look around your neighborhood and tell me, how many houses are in foreclosure? So many foreclosed and short sale houses listed in real estate market, right? It is undeniable and all of us are affected. We feel the economic inflation as the prices of goods and gas hurt our family budget. Yet, you are lucky if you have a job because somehow, you will get through this. But, what will happen if something come up unexpectedly such as you got sick, your car broke down or you need money to buy a new tire for the car and payday is still in two weeks. Where will you go? If you live in Florida, you might check on Title Loans Ocala. This company can give you cash right now with no credit checks, no hassle and they will give you a low payment plan. If you own a car, boat, motorcycles, truck and jetski, you can have an instant approval. All you have to do is sign up the form or call the telephone numbers listed in the Website for instant approval. They have low interest rate and when you bring your car to take home cash, you can still drive your car. When you run out the option of asking help from others, try your luck in this company. They can surely help you out and, please spend your money for what it is for. 11 years had passed, I was wondering how many Filipinos died in the 9/11 tragedy and I found few names reported online. The people who lost their lives in 911 had an untimely death so; let us continue to pray for them and their family. All the captions found below are from LEGACY.COM Website. Please visit the site to know the names of the other victims. GOD BLESS AMERICA and MABUHAY ANG BAYANING PILIPINO. They are the unsung heroes. Grace Alegre and Ildefons Cua found romance at the south tower. They have two children, Nicole, 13, and Patrick, 9. She works at Chuo Mitsui Trust & Banking Company for 14 years. "She was very smart," he said, "but I couldn't hire her. I don't know if we were in love right away, but I was interested because of her beauty and sweetness." Cesar A. Alviar, 60, Bloomfield, N.J.His wife always drove Mr. Alviar to the bus station in Bloomfield so, he could get to his job as an accountant at Marsh & McLennan on the 94th floor of World Trade Center-1 . "He always kissed me before he got out," she said. But on Sept. 11, he hesitated after the kiss. "It was like he wanted to say something, but because I was rushing, I just said goodbye." She was a born organizer works in the accounts payable department and liked to get there early "just to get things started" and stay late "to make sure everything was finished all right," her husband said. "That was her style, always making sure everything was in its place." Mrs. Bautista helped sponsor a town festival in Dagupan, in her native Philippines. Days after the attacks, fellow passengers from Marlyn Bautista's Metro Park Loop bus came looking for her. They had been riding the bus with her for nearly five years and didn't know exactly where she lived, said Rameses, "so they went house to house trying to find her." He said it was a comfort to have them at her memorial service. "I've been trying to tell myself I'm tough," said Rameses. "But sometimes when I'm alone, it hits me." She had emigrated from the Philippines in 1975, was an Assistant Vice-President in the corporate accounting department at Marsh & McLennan. After parting on Sept. 11 from her best friend Maria Luciano, Ms. Caguicla went to Mass, as was her daily custom. Then she went to the 98th floor of One World Trade Center, where the first hijacked plane struck her office. Ms. Caguicla and 20 colleagues were killed in the attack, Luciano said. Born in the Philippines, graduated from Saint Paul's College in Manila. With her accountant's training, she moved to San Francisco and then to Astoria, Queens, in 1975. In 1989, she and Luciano bought the ranch house in Boonton on a one-acre lot. On weekends, Ms. Caguicla tried her hand at cooking or she would indulge her gift for drying and arranging hydrangeas and other flowers. One day this summer, she got so many compliments on the sunflower arrangement she created for her desk that she brought bouquets for the rest of the office, Luciano said. Ms. Caguicla was also extremely private. "I didn't know her age until now. I didn't know her salary. I didn't know she was an assistant vice president," said Ms. Luciano. "I only knew when she was named employee of the year." Also surviving are five sisters, Nita C. Cruz of Boonton Township, Mercy C. Chavez, Luli C. Rodriguez, Chona C. Soriano, Gerie C. Raña and her brother, Ricky M. Caguicla. Profile by Rebecca Goldsmith published in THE STAR-LEDGER. He was smart but soft-spoken. He worked as an assistant to the portfolio manager at Fiduciary Trust, a job that his parents said he loved, in Tower 2. He just passed the first level of a test to become a financial analyst. He was eager to take a review class for the next level next month. He had been at the top of his class from elementary school through Rutgers, where he studied finance and economics. He was at his desk on the 95th floor of the South Tower early on the morning of Sept. 11. When her visa came through, she brought the three children Daryl,Yvonne and Lucki Angel to America. She planned to return to Laoag City to marry Mr. Gabriel, father of his children and bring him over to the US too. She left the two younger children with her parents in Hawaii, and took the eldest with her to New York. She found work with an office-cleaning company. "She was so proud that she was hired at the W.T.C.," her sister- in-law recalled by telephone from Canada. An employee of Empire Blue Cross and Blue Shield. At the Community Church of Great Neck, he was always at the center of everything. His parents had also been active there and so he just grew up with it. His contributions ranged from helping to set up for services to giving occasional readings to arranging for members to get there, even when it meant enlisting his children or driving them himself. Frederick, whose mother is Filipino and whose father is Chinese, was right there to help bridge the gap. The church merged with a Chinese congregation, to bring new young members into its aging congregation. His mother is a Filipino and his father is Chinese. He was an analyst with Fiduciary Trust Company International who had promised his mother that he would be married by the time he turned 30. He was close to making good on his pledge. He was engaged to be married to his girlfriend of seven years, Michelle Leung, and her family gave an engagement party for the couple two weeks before the attack on the World Trade Center, where Mr. Lim worked. Jorge Lim, the eldest son, said that because he was almost 10 years older than Arnold, their relationship was often more like father and son. "I remember changing his diaper, cleaning up after him," Jorge said. "I would take him everywhere. I remember the first time that he went to kindergarten, everyone had fun because I was the one who used to go on a lot of school field trips with him. One of his classmates remembered that there was always an older person going to these trips with Arnold. They used to think I was a parent." He was vice president of the federal tax department at Marsh & McLennan in 1 World Trade Center and likes to tend the big garden he and his wife had in Jersey City. The backyard plot bore beans, tomatoes, mustard greens, the last an important ingredient in sinigang, a tangy soup of Mr. Lopez's native Philippines. He like vegetables, he was crazy about gadgets and electronics too. DVD players, laser discs, cameras ‹ "Everything that came out, he had to be the first to get it," said his daughter, Minnie Morison. "We have five or six televisions and there's only three bedrooms in this house." He often trawled the Internet in search of hot deals. "There was this DeWalt drill that kept being auctioned on uBid," his daughter said. "He wanted it so bad, but he was stubborn and he was always outbid. I was like, `Why don't you just go to Sears and buy it, and I'll pay the difference? "A couple days after the World Trade Center, a drill showed up in the mail. It was really weird for us and No one's opened it." Moments after arriving at work on the 98th floor of Tower One of the World Trade Center on Sept. 11, he called his wife, Rosalia, to go over some details of their remodeling project. Ten minutes after he hung up, the first jet struck the World Trade Center. His wife, hearing the news on the radio, tried to call back, but she was not able to get through to him. In addition to his wife, daughter and son, Mr. Lopez also is survived by two sisters, Jovita "Betty" Lozano of New York and Avelina Cabal; and two brothers, Geronimo Montero and Benjamin Montero, all of the Philippines; and other relatives. He was a broker with Cantor Fitzgerald. He was a used car salesman, and for fun, he liked tooling around on motorcycles with a bunch of friends who called themselves the Lost Boyz, after the characters in "Peter Pan," the ones who never wanted to grow up. By 1995, though, David Marc Sullins thought he ought to do more with his life. So he signed up for night school at Queensborough Community College and at the age of 24 began a new chapter as a paramedic, said his wife, Evelyn. The work was strenuous but worth it, Mr. Sullins told his wife, who recalls that he was soon packing Matchbox cars and Barbie figurines in his trauma bag to calm the children in his care. One 5-year-old whom he had brought to St. Vincent's with stomach pains was so enamored that when she spotted him later at the hospital, she handed him a lollipop from her pocket. Another fringe benefit was his ability to work double shifts on Mondays and Tuesdays so that he could have the next three days and alternate weekends off to be with his sons Julian, 4, and Christian, nearly 2. On Sept. 11, Mr. Sullins's ambulance sped from Cabrini Medical Center to the trade center. Colleagues say he made at least three trips to local hospitals with injured people he had pulled from the buildings before he re-entered the south tower moments before it collapsed. Hewas a technology manager at Marsh & McLennan. His friends and family had a lot of names for him. Like Phil, short for Filipino, his ethnicity. Or Horatio, because Hilario was the first name on his birth certificate. Or Gooch and Clem, for reasons no one can quite recall. Then there was, um, Christie. He got that one after showing up on the slopes wearing a black-and-pink skiing outfit. Unfortunately for Mr. Sumaya, the color scheme was a tad too unisex. "There was a nice-looking girl wearing the same jacket," said Bob Sitar, a friend and fellow member of Mr. Sumaya's ski club. "It was pretty funny, and we teased him about it." But the good-natured Mr. Sumaya, took the kidding in stride, always ready to tackle the steep fast curves of the mountain, the rolling greens of the golf course, the waves of the Jersey Shore, the social currents of big-city bachelor life. "He was always smiling, very outgoing," said his sister Charito LeBlanc. Mrs. LeBlanc and her husband, Joseph, miss him the most on Sundays, because that was the day Mr. Sumaya would spend time at their home near his in Staten Island, watching sports, smoking a cigar in the backyard, firing up the barbecue. He was a civil engineer, he was working in 2 World Trade Center on Sept. 11. He loved to sing: Engelbert Humperdinck and Elton John, country music and campfire favorites. At home in Holliswood, Queens, he had a karaoke machine with thousands of songs. "He had a lot of friends, most of them are relatives, and on Friday nights and Saturday nights and sometimes weeknights they would drink together and sing together," said his sister-in-law, Sylvia Mercene. Many of those relatives lived with Mr. Tamayo at some point, because he opened his house to family and friends when they came to the United States from Aklan province in the Philippines, as he had in 1980. "As a joke we call his house the Ellis Island," Ms. Mercene said. Five of his six siblings are now in the United States, as are his wife, Evelyn, and their two children, Ian, 20, and Pamela, 16. We have a Disney World's Annual Pass and we can visit Disney Theme Parks anytime during weekdays. It was a simple card with our name and date of expiration in it. Nothing special. When we bought our annual pass for a whole year access to Kennedy Space Center, we love our ID better because it has our name and picture in it. It is really cool and so formal. Our annual pass has a whole year access to Kennedy Space Center Visitor Complex, Kennedy Space Center Tour, and Shuttle Launch Experience (up close). We can also access the IMAX movie theater showing 3D space films and we can also use our annual pass to access the daily astronaut encounters. The annual pass is also good for free admission to the U.S. Astronaut Hall of Fame. If I have friends and buys KSC ticket, their ticket will be given a $10 off on admission. I already used my card at The Space Shop and I got a 10% discount. We also have a complimentary subscription to Kennedy Space Center’s Apogee StarNews which published three times annually. 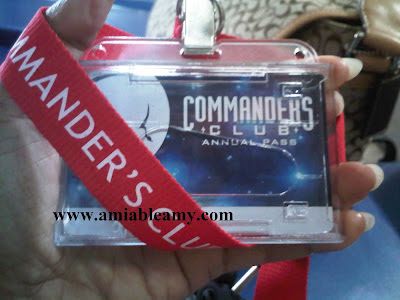 Having a Commander's Club ID, there will be invitations to special events, exhibits and ceremonies. Few weeks from now, we will be attending a wedding and as of today, I have no clue on what to wear. When summer time comes, I always have my maxi dress at the front line of my wardrobe. I just want to have something easy, fun and extremely comfy to wear. I have few favorite colors and the fit was just right. The length was about to the top of my feet and the fabric was cool, a great wear for summer ensemble. I was actually checking my closet few hours earlier. I was debating whether to wear a maxi or mini. My preference is to wear a suit nah, my mind wanders right now! I want something simple and the fabric should not be loud with colors. I was checking out the Website necessaryclothing.com and I found some of the beautiful collections of maxi dresses. Their prices are affordable and all their clothing designs are in fashion. I like the layer dress rust design because of the color, draping and layering style. That's a good dress to wear if I go for a dinner date with my husband at our favorite outdoor restaurant on a beach. Anyway, I am hoping to find the dress that I can wear for the wedding. When we left Miami Port to Bahamas, the drizzling rain was annoying but, who am I to complain on the nature's power right? All activities are indoors except for the live band on the pool area. Most guests were gathered on Deck 11 for a Grillin' Party. As we sail away, food was served, music was everywhere and people were dancing, eating, swimming on the pool, kids are playing and just having a good time. It was fun but, it would have been more fun if my mom and my family back home were with me cruisin' at that time. Anyway by 6pm, we were sailing the Pacific Ocean heading towards Freeport Bahamas. On the first evening on the ship, we had our dinner at a fine dining restaurant. I just love the food served at Norwegian Sky. After dinner, there were indoor activities and we came to watch a variety show and a comedy show. It was a blast and we enjoyed it. We sleep like a baby that night and before 6AM; hubby and I got up to see the sunrise. We missed it! Actually, the sun refused to shine because it was raining when we arrived in Freeport Bahamas. Upon seeing Bahamas for the first time, Oh I sure miss the Philippines. It just reminded me of my beautiful country. The gangway was put down around 9AM and we immediately went to the Port Lucaya area. We took a van for $5/person each way. We check out the beach but, didn't bother to swim because it was raining. We went to Treasure Bay casino and play the slot machine then, we explore the marketplace. The place is beautiful and their beaches are really gorgeous. It was already 5PM when we head back to the Freeport Harbour. Bahamas is a very nice place to have a good relaxing vacation. In the future, I would definitely come back to this island. When you own an online business, you should hire someone who is knowledgeable in ecommerce solutions. Are you looking for the best graphic design that is suitable for the type of business you have? Let the web expert brings your business above and beyond from your competition. If you sell products online, creating a visual and functional design that attracts consumers is necessary. You just don't need the ecommerce software but, you need someone to do this and all the other stuff as well such as advertising design and photography. Your online business should be appealing to the consumers and easy to navigate. You can avail great e-commerce software but, when you hire a graphic design team, it will surely lessen your burden on planning and designing. If you want to know if a company is reputable, you can actually check out the Website and see who their clients are. If you already established your Website but, not receiving enough traffic then, you need an expert who can work out regarding SEO. What matters in online business is that, you are searchable online. When you are searchable, you will get traffic then, you will get customers. When you have more costumers, you will improve your sales and everything will flow to a successful online business. To achieve a great success in your online business, you need to hire someone or a company that also provides a stable ecommerce hosting with excellent support and maintenance. 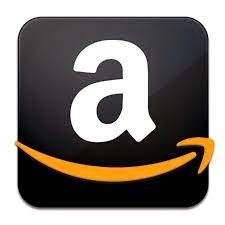 For more information, you can check out Ecommercepartners.net Website today. Last Monday, my husband was complaining on his right shoulder. He got muscle pains probably from doing the yard work. We were busy with our DIY at the backyard and not realizing that we probably work too much. Just in time, the mailman delivered a package at our front door and inside, was the Noxicare™ Natural Pain Relief cream product. Coincidence? About few days earlier, I made a request for free product samples and it just came at the right time when hubby needed it most. Pain is excruciating and it truly disrupt our disposition. We can't work; we can't eat and most probably, it will surely affect the flow of the happy home. I am talking about physical pain and the good news for that, there is a natural pain relief available in the store. When my husband opened the box, he wanted to try it upon knowing that it is a natural pain reliever. Noxicare has no known side-effects. When I applied it on his shoulder, there was no greasy feel in it and there is no strong smell compared to the traditional pain reliever cream. It does not contain harmful chemicals and all active ingredients comes from Turmeric, Willow Bark, Ginger, Holy Basil, Rosemary Extract, Alpha Lipoic Acids and Boswellia Extract. 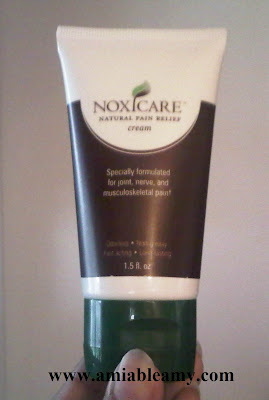 Of course, no greasy feel is the first thing that I noticed when I rubbed Noxicare to my husband's shoulder. I applied it one time and he never requested any more application later on. It truly works! He said it was soothing. If you have joints and muscles pain, you might want to try this product. For more information, check out the FB page of Noxicare and hit the like button.